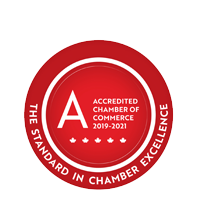 Southwestern Public Health | Community Services | Education | Government Services | Health Care Services | Medical Services | Nursing Services | Parenting - Business Directory - St. Thomas & District Chamber of Commerce - ON, ON ? AA variety of health programs and services are offered in the areas of health protection, health promotion, and health prevention. Services include safe water testing, injury prevention awareness programs, restaurant inspections, sexual health and immunization clinics, telephone consultation, prenatal work, home visiting for new parents, media campaigns, community events & presentations, well water testing and parenting programs. Public health issues addressed include addressing the barriers that people experience in achieving optimal health, promoting the importance of health equity, heart health, early cancer detection, reproductive & child health, injury & substance abuse prevention, food safety, control of infectious disease, safe water, prevention of STDs, vaccine and health hazard investigations.